The day before I went on holiday I thought I would indulge in an Essie nail polish as I’d seen people rave about them all over YouTube and blogs. I had enough Boots points to get one so I thought why not? I went for ‘Fiji’, a much raved about one. This sparked an obsession that carried on through my whole trip to New York, our hotel was next to a ‘Duane Reade’ store, which I’m assuming is what americans would call a drugstore maybe? 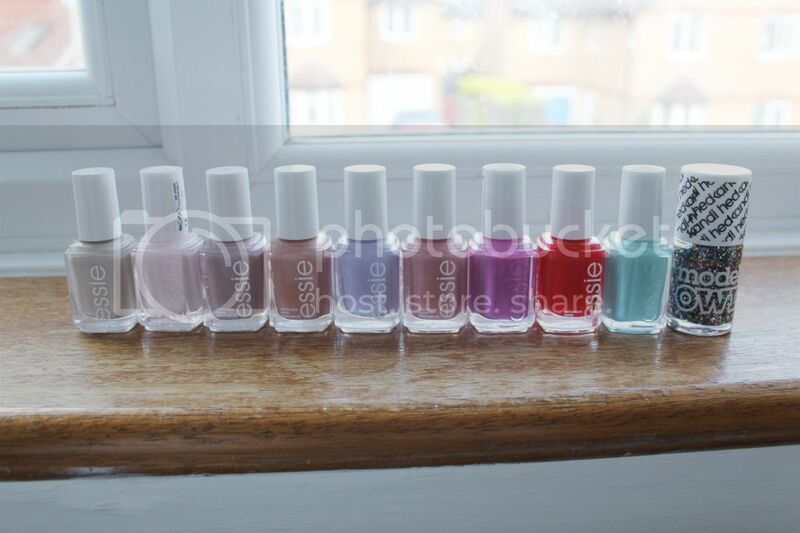 Therefore every single day I went in there and spent ages at the Essie stand wanting more. I ended up coming home with 6 more. Then the other day I went into Boots looking for the Real Techniques blush brush, which they didn’t have, so naturally I ended up at the Essie stand, and bought 2 more! To round it all off I decided to get the models own hedkandi as I thought it might look quite nice on my nails over the summer. I think I need to go to nail polish rehab, I literally cannot enter a Boots store without looking at the Essie stand now, help!